Are you sure you want to remove Othello from your list? A timeless prose thriller filled with passion, prejudice, insane jealousy, murder, and suicide, all caused by Iago, one of literature's most callous villains. 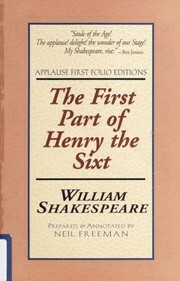 This edition includes an easy-to-understand modern English translation alongside the original Shakespearian text. 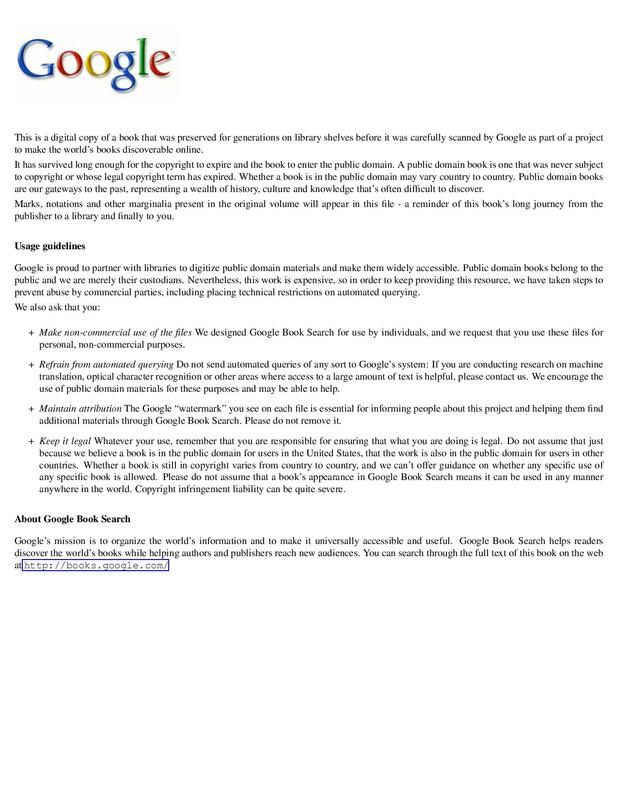 August 2007, Saddleback Educational Publishing, Inc.
January 30, 2006, Saddleback Educational Publishing, Inc.
in English - Updated ed. / edited by Norman Sanders. 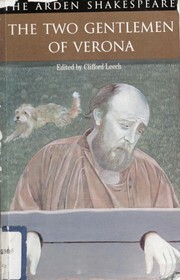 in English - The new variorum ed. in Dutch - Derde, herziene druk. Othello: produced at the Old Vic Theatre, 31 October 1951. Othello: produced at the Old Vic Theatre. Othello: produced at the Old Vic Theatre, London,31 October 1951. 1976, Heinemann Educational Books Ltd. The tragedy of Othello: the Moor of Venice. in English - Harbrace theater ed. 1973, Harcourt Brace Jovanovich Inc.
in English - Harbrace theatre ed. Othello the Moor of Venice. in Hebrew - Mahad. 3. Othello, the Moor of Venice, 1681. Othello. : Edited by Horace Howard Furness. 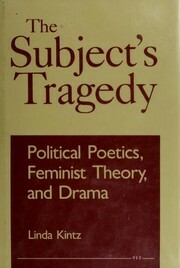 With a supplementary bibliography by Louis Marder. 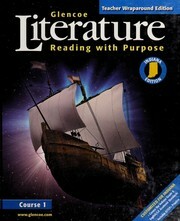 in English - 7th ed., repr. with minor corr. Othello. Edited by M.R. Ridley. Othello. : Edited by M.R. Ridley. The tragedy of Othello, the Moor of Venice. : Edited by Alvin Kernan. Othello. : Version française de Pierre Jean Jouve. The tragedy of Othello, the Moor of Venice. : Edited by Tucker Brooke and Lawrence Mason. 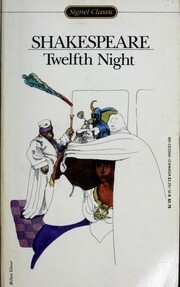 The tragedy of Othello, the Moor of Venice Edited by Gerald Eades Bentley. Othello. : Edited by Alice Walker & John Dover Wilson. Othello, the moor of Venice: A tragedy. in English - New (2nd) ed. 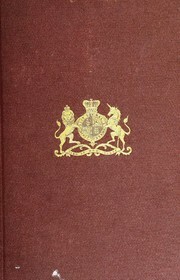 1947, J. M. Dent & Sons Ltd, E. P. Dutton & Co. Inc.
in English - 6th ed., revised. 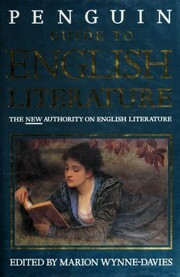 in English - 5th ed., revised. in English - 4th ed.,revised. Othello. : Edited by C.H. Herford, rev. by Raymond MacDonald Alden. 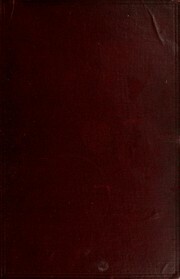 1924, D. C. Heath and Co.
in English - American edition, revised by Raymond M. Alden. Tragedy of Othello. : With pref., glossary by Israel Gollancz. The tragedy of Othello. : Edited by H.C. Hart. Othello, the Moor of Venice. : Edited by Thomas M. Parrott. in English - New and cheaper issue. Othello: the moor of Venice. 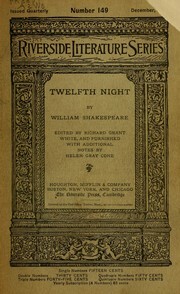 1898, Bliss, Sands & Co.
Shakespeare's Othello: with introduction, notes, and plan of preparation. 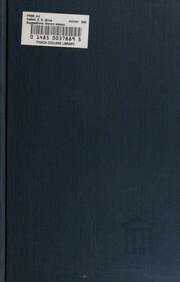 1892, E. Maynard & co.
Othello, the first quarto, 1622.: A facsimile ... by Charles Praetorius; with introd. by Herbert A. Evans. 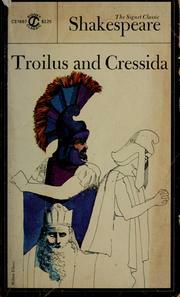 Othello: A facsimile ... by Charles Praetorius; with introd. by Herbert A. Evans. Othello: ou, Le more de Venise, drame en 5 actes et en vers. [Traduit par] Jean Aicard. Othello. : Traduction française par E. Montégut; avec le texte anglais. Othello. : A tragedy, in five acts. 1873, G. F. Nesbitt & co.
Othello, the Moor o Venice: a tragedy in five acts. 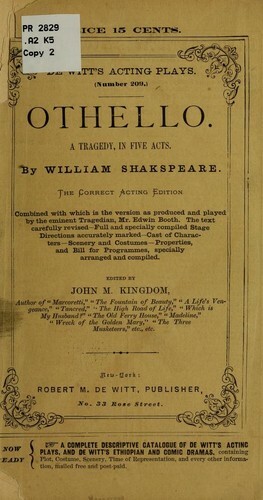 Othello: a tragedy, as performed at the theatres Royal; regulated from the prompt-books, by permission of the managers; with an introduction and notes critical and illustrative. Othello: printed complete from the text of Sam. Johnson and Geo. Steevens, and rev. from the last editions. 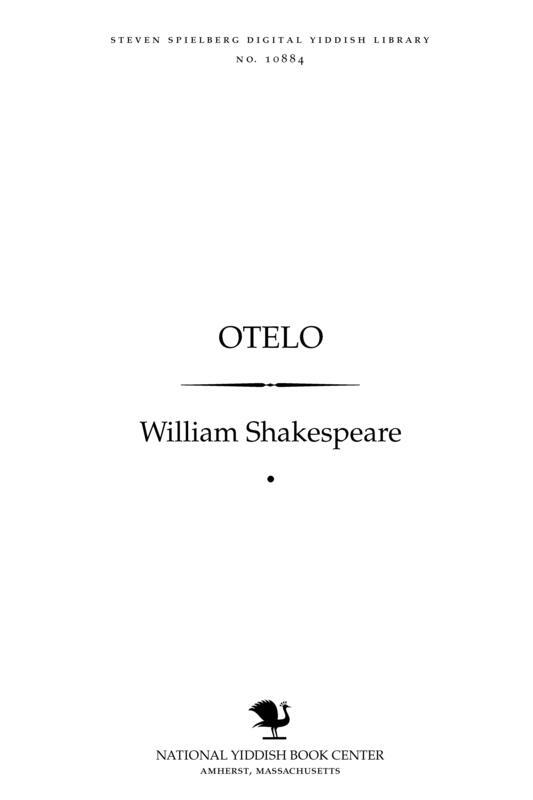 Othello: By Will. Shakspere: printed complete from the text of Sam. Johnson and Geo. Steevens, and revised from the last editions. Othello, the Moor of Venice: a tragedy, marked with the variations in the manager's book at theTheatre Royal in Drury Lane. Othello, the Moor of Venice: a tragedy; taken from the manager's book at the Theatre Royal, Covent Garden. Othello, the Moor of Venice: a tragedy in five acts; taken from the manager's book at the Theatre Royal, Covent Garden. Othello: a tragedy, as it is acted at the theatres Royal in Drury Lane and Covent Garden. Othello: A tragedy, by Shakespeare, as performed at the Theatre-Royal, Drury-Lane. Regulated from the prompt-book, ... by Mr. Hopkins, ... An introduction, and notes ... by the authors of The dramatic censor. Othello, the Moor of Venice: a tragedy, as it is acted at the theatres Royal in Drury Lane and Covent Garden. Othello: the Moor of Venice. A tragedy. By William Shakespeare. Collated with the old and modern editions. Othello: the Moor of Venice. A tragedy. As it is now acted at the Theatres Royal in Drury-Lane and Covent-Garden. Written by W. Shakespeare. Othello, the Moor of Venice: a tragedy, as it is now acted at the theatres Royal in Drury Lane and Covent Garden. Othello, the Moor of Venice: a tragedy, as it is now acted at the Theatre Royal in Covent Garden. Othello, the Moor of Venice: a tragedy as it is now acted by His Majesty's servants. Othello, the Moor of Venice: a tragedy, as it is now acted by His Majesty's servants. Othello, the Moor of Venice: a tragedy, as it is acted at the theatres. Othello: the Moor of Venice. A tragedy. By Mr. William Shakespear. Othello, the Moor of Venice: a tragedy, as it hath been divers times acted at the Globe and at the Black-Friers and now at the Theatre Royal by His Majesty's servants.